Ok... the weather is now looking a little 'iffy' for Sunday, but HEY - we're WHEELERS! What is a little 'liquid sunshine' to US?!?! So long as there's no lightning, hail, tornadoes, locusts, plagues, et.al., we'll keep it outdoors. Since the grass will undoubtedly be soggy & muddy (GOOD for wheelin' in - LOUSY for SITTING in... ), bring a camp chair/lawn chair/towels/cushion/skid/SOMETHING to sit on, and we'll go from there. We will move downstairs to the undercroft/church hall if necessary, but we're still ON - rain or shine! 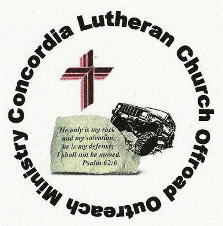 SECOND ANNUAL Blessing of the 4x4's - Sunday, June 29 @ 2:00pm! Time to prepare for the SECOND ANNUAL Blessing of the 4x4's, to be held at Concordia Lutheran Church in Brentwood - 3109 Brownsville Rd. - at 2:00pm, Sunday, June 29. We did have storms blow in last year, but we survived, and had a good time. Hopefully this year, we'll be able to stay outside, and get some actual PICTURES this time. Just as last year, there will be NO passing of an offering plate, to put your mind at ease. This is simply a courtesy we'd like to extend to the 4-wheeling community, as our Pastor is a wheeler, and would like to turn his hobby into a blessing for others as well. E-Mail or PM me with any questions - we hope to see you there!